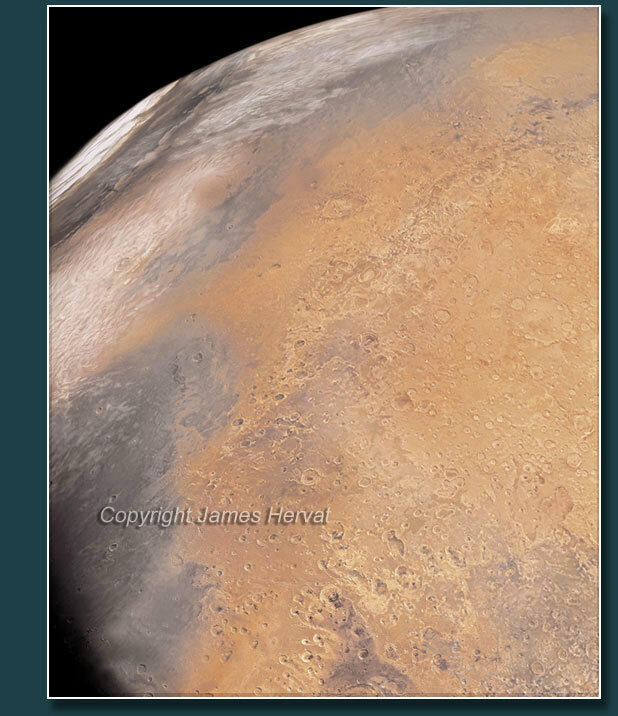 Mars and Phobos by James Hervat - Mars is viewed from just beyond its dark, miniature satellite. 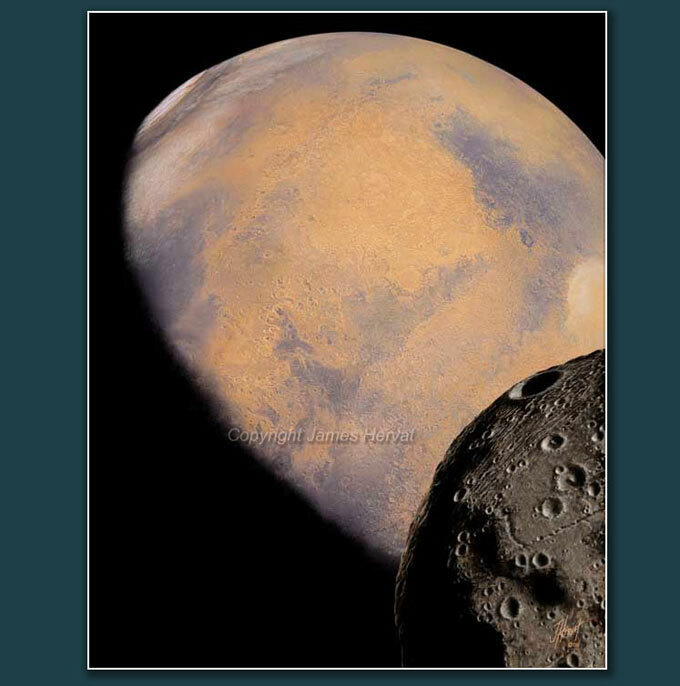 Mars and Phobos (2008) - The Planet Mars beckons. As this is written, we are approaching a half-century since humans first set foot on another world, effectively opening the door to our first-hand exploration of our Moon and beyond. This door was abruptly shut and for decades the deep-seated human drive for exploration (as it applied to space) was delegated to unmanned robots traveling to the Moon and planets and a magnificent orbiting telescope. Since Apollo, human space travel has been limited to no more than a few hundred miles from Earth. We are now at the threshold of a new era of human space exploration. Firm plans are underway to return to the Moon. Significantly, a journey to Mars is not being made to wait in line. Ingenious minds are already solving the specific problems related to sending humans on that long journey. Setting foot on Mars has moved from the realm of science fiction, to a foreseeable goal, to a work well in progress. The goal will be achieved sooner rather than later if we learn to channel our resources and priorities toward reason and the search for knowledge, and away from our dark, destructive, superstitious tendencies. NOTE: the watermark seen on the above image does not appear on the prints.